Each and every corner of a well managed house is specified for some certain tasks as a bedroom is for having some rest, kitchen is for preparing meals, and a lounge is associated with a gathering of the family where the entire family sits together whether to have a cup of coffee or to have some chit chat. So make your lounge well equipped with the necessary furniture. 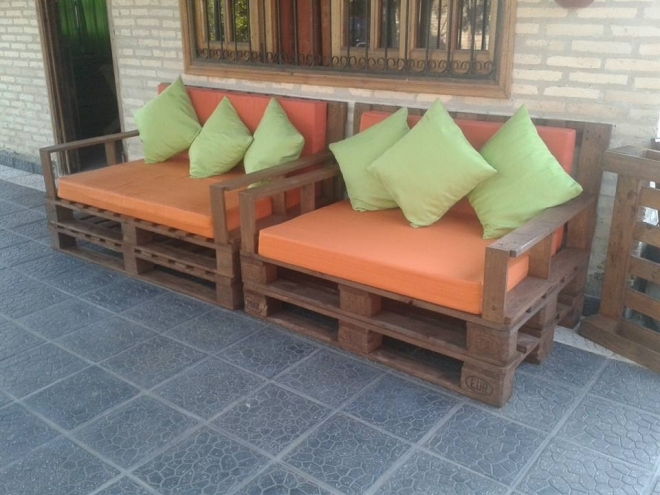 But if scared of prices, we have got some splendid pallet couches for your lounge. These pallet couches are not expensive at all, plus they would aptly suit your priorities in a furniture article. Pallets are easily available in our surroundings. Normally we have them lying in bulk in our backyard and if not, we can easily find pallets from some construction sites or some small business firms. Even if we purchase them we have to pay only a few bucks against them as they are treated as trash. But we are the true crafters who turn this trash into some really valuable daily use practical items. 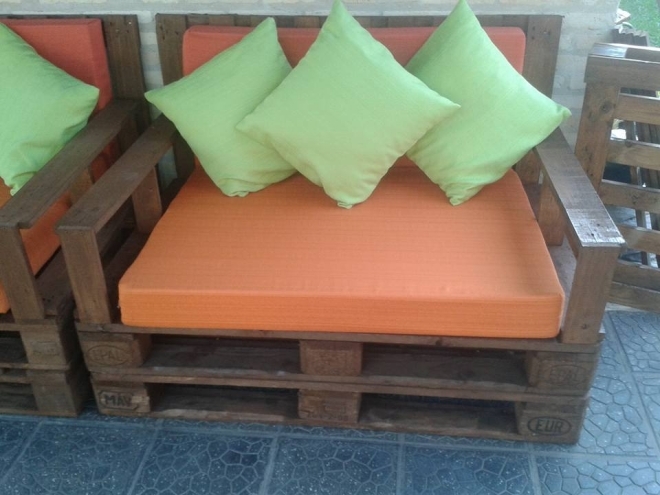 Like this pallet couch we are going to make today especially for the lounge. We would design it according to our own priorities but anyone who follows this inspiration can take it just as a basic model and can make amendments according to his choice and available space in the lounge. As the lounges mostly cover some larger areas so these lounge pallet couches would be a little bigger in size. There are two whole pallet layers on the bottom of each couch, and then a whole pallet is used in making the back of the couch. 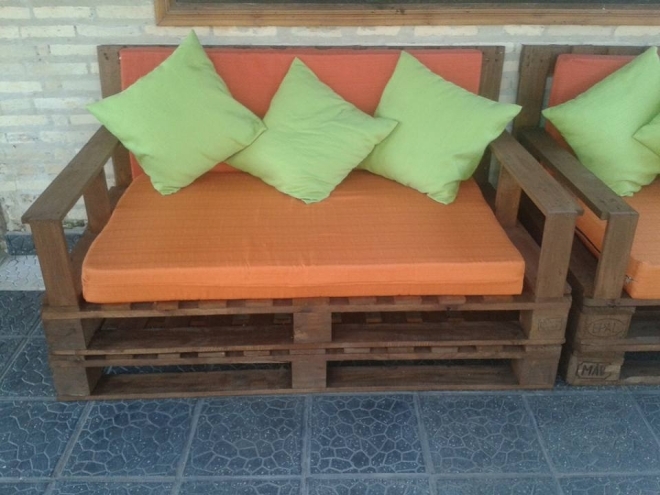 While some disassembled pallet planks are used in making arm rests and seat of the couch. They are varnished and very well sanded to smoothen up the texture of raw wood.